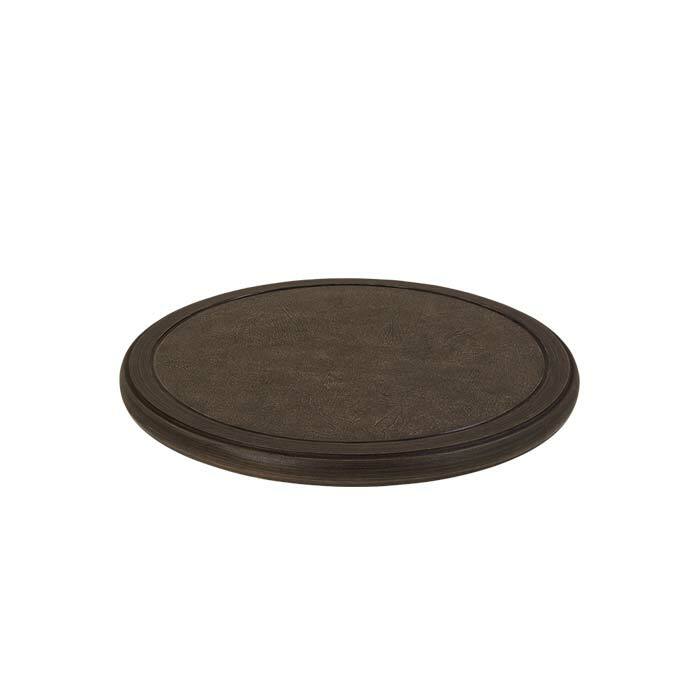 This Cabretta Tea Table Top features a dark brown or weathered gray, leather-looking finish, resulting in a traditional or rustic environment for your outdoor patio. The accessory table top features sculpted edges creating a unique style. Made of glass-reinforced polymer, this Cabretta Table Top pairs with Tropitone's 5000 series universal bases.